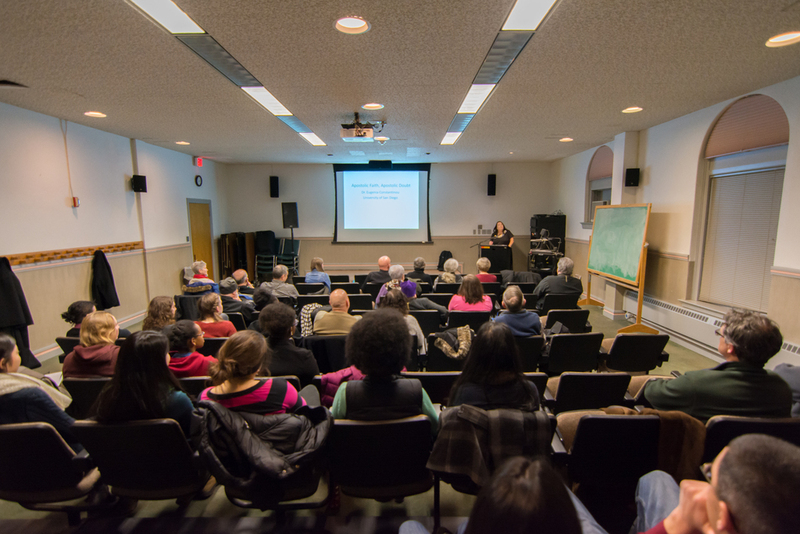 As part of Oberlin OCF's Spring program, we hosted guest speaker Fr. 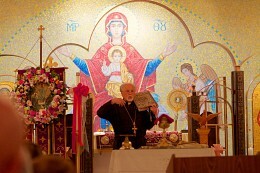 Constantine Nasr of Oklahima City, NE. 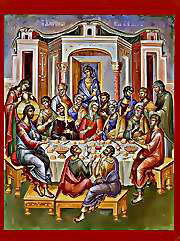 On Friday evening, Fr Constantine gave an on-campus presentation The Co-existance of Jews, Christians and Musilms in the Holy Land. 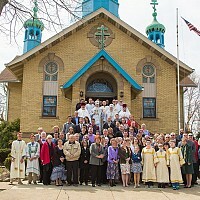 The following day he led a workshop The Journey Through the Divine Liturgy at St Nicholas Greek Orthodox Church in Lorain. 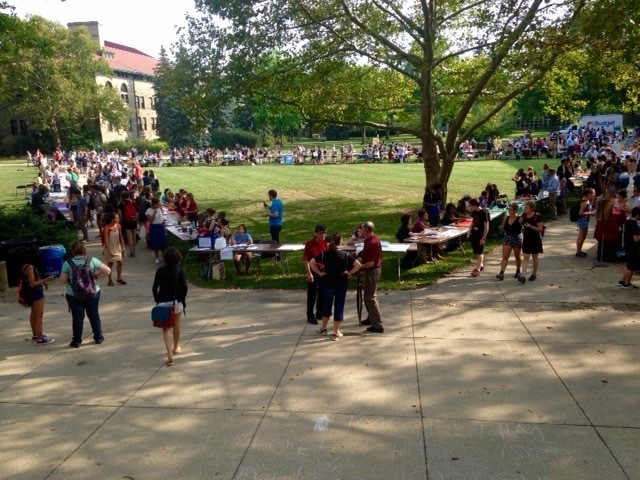 Our OCF booth was present ar this year's Oberlin College Connections Fair. This fall event is offered as an opportunity for all student organizations to advertise there groups. 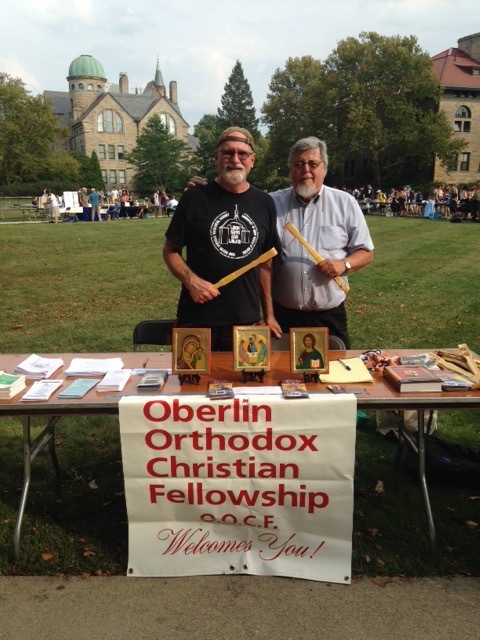 Fr Basil Stoyka and Subdeacon THeophan were on hand to provide new students with information about OCF and also handed out our famous backscratchers! Again, we will be participating with “Welcome Table” on the grounds of Wilder Bowl and receive our free Backscratcher! This is a great opportunity for all students to learn about and connect with religious groups in the Greater Oberlin area. Please visit us, and receive your free Backscratcher! 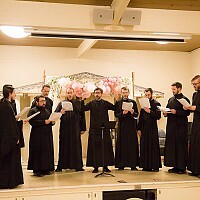 One of the services that we offer not only to our Orthodox students, but also to the entire student body is to bring in guest speakers to talk to the students about topics both spiritual and practical.